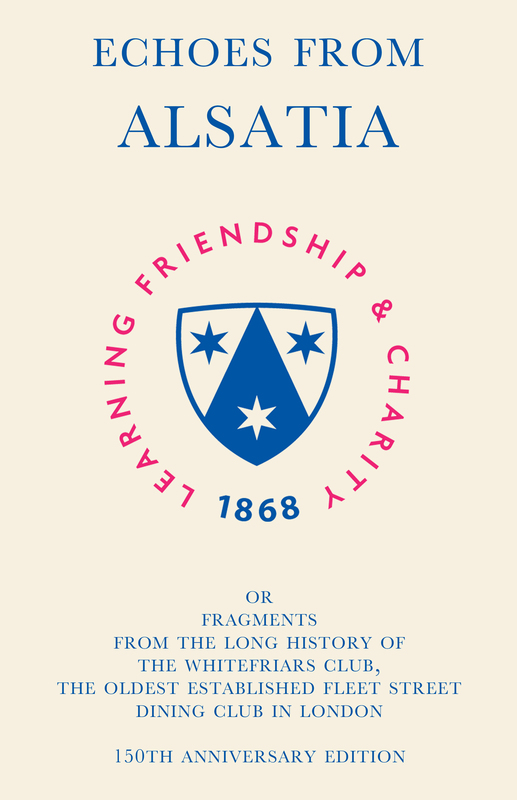 Towards the end of 1867, a dozen or so journalists – who had been dining and discoursing regularly – realized that they were, in essence, an exclusive dining club, and decided to name it after the ancient ecclesiastical precinct of the Whitefriars – sometimes known as Alsatia, after the ‘debatable land’ between Germany and France, mirrored by the lawless region from the shadow of the City of London’s walls to the Temple and to the Savoy in the Strand, which centred on Fleet Street, and where bankrupts and other lawless fugitives could live in relative safety until the time of William III. The Whitefriars Club has evolved from including just members of the fourth estate, and now welcomes many eminent lawyers, politicians and publishers, as well as people in the theatre, films and the armed services. The success of the Club has been due to the enthusiasm of the Friars and the simplicity of the rules, being basically to enjoy good food and wine in congenial company with a high standard of speakers. In its 150 years of activity, the Whitefriars Club has witnessed great changes in society and survived two world wars. Over the decades, it has been host to some of its time’s great luminaries and literary figures. In this book are collected a selection of some of the most outstanding – and often outré – speeches from the long history of the Club, as well as notes on its past, witty anecdotes and reflections on what the Club means to its current members. The result is an engaging excursion through history, mores and culture, told by the voices of some of the Friars who have made the Club one of the greatest and most prestigious in London.